Will leave you looking and feeling your best! The Divine Spa Ritual Package is the perfect way to unwind. 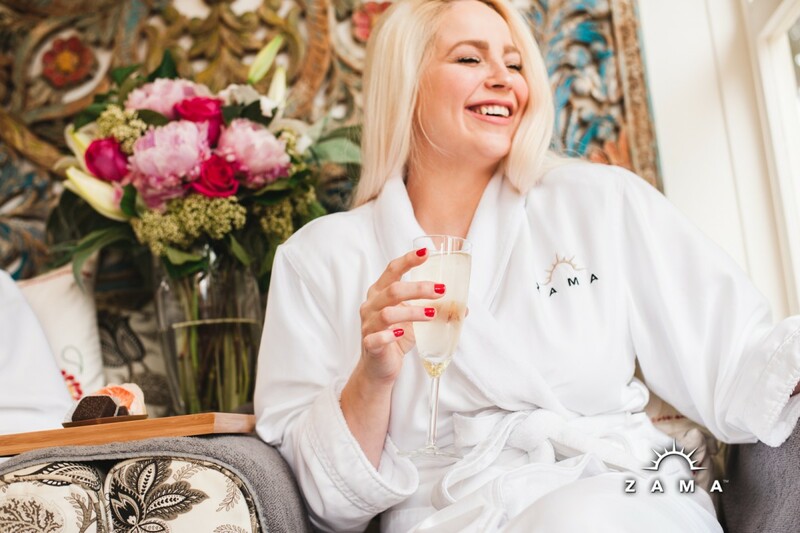 Treat yourself, or better yet, treat yourself with a friend to a spa day with quality self care at Zama. The first treatment of our Divine Spa Ritual Package will be a Swedish or deep tissue massage. You will feel yourself slipping blissfully away as you relax on a heated massage table. Your massage therapist will give you a 60 divine minutes of your preferred style of deep tissue or relaxing Swedish massage. Depending on your pressure preference and massage goals, you can expect to leave feeling relaxed, or in less pain than when you arrived. The next part of the Divine Spa Ritual will leave you feeling and looking your best! Our skilled estheticians will do a thorough intake to ensure you are getting the facial that is right for your skin type. During your 60 minute Organic Custom Facial, you will receive a gentle cleanser, exfoliation, extractions (if needed/wanted), a soothing masque, and a moisturizer that will leave you renewed and glowing. A warm steam treatment is also included. As the warm steam softens your pores and prepares your face to receive the rich treatment and ingredients from Eminence, the steam stimulates blood circulation to the face allowing the skin to look refreshed. The warm steam also allows for deep cleansing resulting in softened, hydrated and rejuvenated skin. 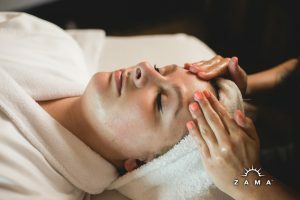 Our facials also include an extra relaxing massage of the face, neck, and shoulders. Finally, you will be whisked into our Garden Room for our 60 minute Hot Stone Warm Cocoa Butter Pedicure. This luxurious treatment begins with a glass of champagne and vanilla salted caramel Missionary Chocolate Truffles. You’ll love this longer and more luxurious service than a standard pedicure. It begins with Butter Brulee Powder Milk Bath from FarmHouse Fresh. Then we’ll exfoliate your feet and legs with an aromatic Triple Shot Caramel Coffee Sugar scrub. Next, you’ll sit back and relax with a hot towel wrap for the feet. We’ll then drizzle fair trade warm cocoa butter down your lower legs and feet. And then the grand relaxation finalé, a hot stone massage. Your feet and legs will be deeply nourished, your skin will feel hydrated and your mind will rest. The Divine Spa Ritual is a great gift for yourself or a loved one. Consider adding the warm cocoa butter or hot stones to your massage, making the Divine Day Ritual even more heavenly! We look forward to making this an experience unforgettable!